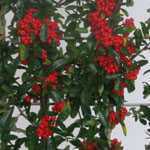 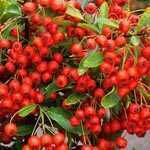 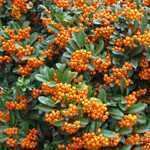 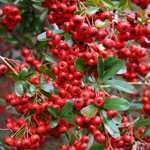 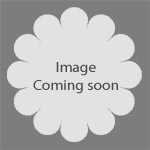 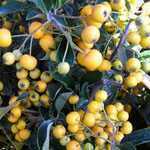 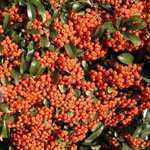 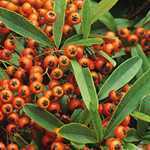 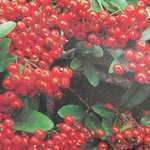 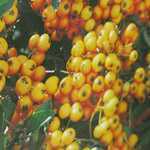 Pyracantha 'Saphyr Yellow' (Firethorn) Hedging Plant is a compact thorny evergreen shrub. 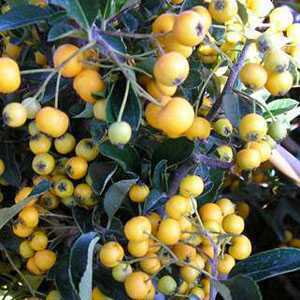 It has narrow glossy leaves clusters of white flowers appear followed by bright yellow berries. 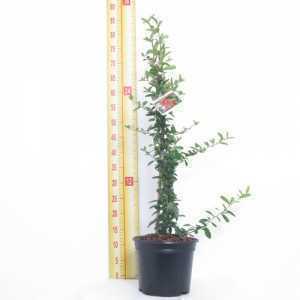 This plant is sold attached to a trellis frame.